​Daniel Zaretsky was born in Leningrad in 1964, and studied piano and organ performance at the Leningrad State Conservatory. He completed his Concert Diploma and Teaching Certificate in 1989 under the direction of Professors E.Bazanov and N.Oksentjan, and his postgraduate education at the Kazan State Conservatory under the direction of prof. R.Abdoullin. D.Zaretsky has performed since 1988 in all the former Soviet Union’s important venues, including the Philharmonic Halls of Moscow, St. Petersburg, and the Cathedral of Riga, as well as in Italy, Switzerland, Germany, Holland, Austria, Finland, Sweden, Denmark, Norway, France, Great Britain, Spain, Portugal, Poland, Luxembourg, South America, Israel, Australia and the USA. In 1991 he won the National Organ Competition and took Third Prize in the Speyer International Organ Competition in Germany. In 1990 he was a finalist in the International Organ Competition in Ragusa, Italy, and in 1993 in Lahti, Finland. He has also made recordings for Russian, Latvian, Swiss, German and Danish radios and for CD’s. 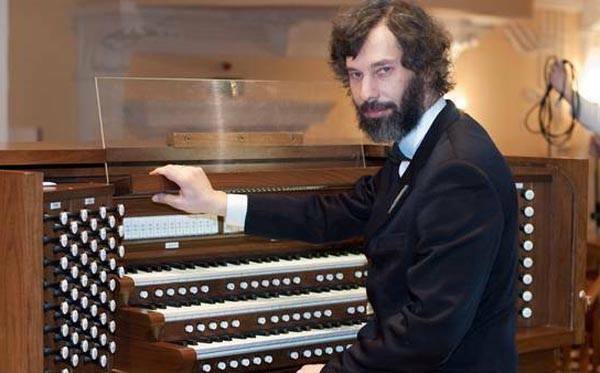 He was Organist of the famous St. Petersburg Grand Philharmonic Hall (1997-2007). From 2002 to 2007 he was Associate Professor of organ at the Nizhnij Novgorod State Conservatory – the third-largest conservatory in Russia. From 2006 he is Professor of Organ at the St. Petersburg State University and from 2007 at the St. Petersburg State Conservatory as well, from 2011 head of Organ and Cembalo department. In 2006 he was awarded the title “Honoured Artist of Russia”.